Internet and media technologies have drastically changed the way we shop, consume news, and perhaps most profoundly, how we communicate with the world around us. While having a smartphone or tablet provides a variety of practical advantages, there can also be a variety of detrimental social and mental effects from consuming too much social media, television, and generally staring at screens. If your children are consumed by their smartphones, it can feel like connectivity as a family is out of reach. The obsessiveness that can come from the instant-gratification of social media can drive a wedge between you and your children. It is imperative to craft healthy media diets for your family to combat antisocial behavior that can come about from unchecked electronic usage. A variety of negative factors have been linked with an overly-saturated media diet, from physical ailments such as sleep loss, and headaches to emotional and social factors such as obsession and anxiety. Below we’ll look at three strategies to help your family develop healthy media habits. One significant mistake being made more and more by parents today is allowing their infants and toddlers to entertain themselves through the screens instead of encouraging creative, explorational, and educational play. 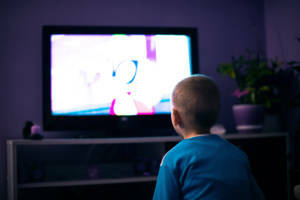 The American Academy of Pediatrics recommends that infants and toddlers, especially until at least 18 months old, should avoid on-screen entertainment when possible. If you do want to let your toddlers watch TV, the AAP says parents should prioritize educational content and watch with the child to help them understand what’s happening on screen. The content infants and toddlers are exposed to in their formative years can have long-term mental effects, which is why it is crucial to carefully monitor the forms of media they are exposed to at those young ages. Another recommendation by the AAP is to build a family media plan and execute it for every member. This plan may include downtimes when no phone usage is allowed, restricted amounts of television or video games every day, and limiting social media usage. In the times of downtime from media entertainment, encourage your children to explore active and creative hobbies like art, reading, and sports. However, a large part of making sure your family media plan is executed effectively is holding yourself and spouse to similar standards. It will be difficult for your child to take the plan seriously without the parents leading by example. If a rule established is no phones at the dinner table, then enforce this for everyone. If executed properly, a family media plan can work wonders towards establishing more reasonable intake of media for the entire family. Social media, video games, and television can provide very compelling places for young people to escape from the challenges of reality. However, they can also provide positive attributes to their lives, whether it be witnessing a good story play out or allowing them to keep in touch with faraway friends. 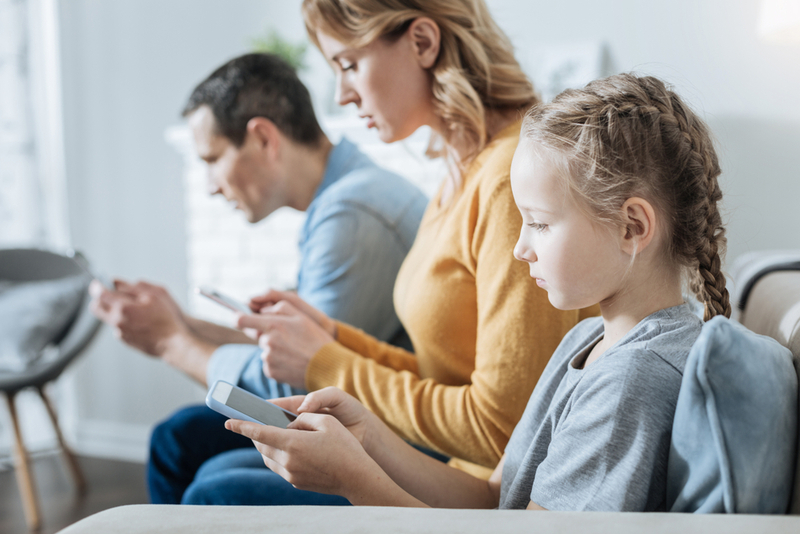 Much of the negativity that can be found in places such as social media can be avoided if you as the parent are willing to engage with your children about their personal media habits. Don’t allow the newness or strangeness of something you don’t understand at first glance be used as an excuse to not take interest in the content your children consume online. Many teens use social media as a way to vent frustration, anxiety, or depression. As such, it’s imperative to keep the channels of communication open, engage with their interests, and work with them to establish what is reasonable and what feels like a violation of privacy. Media habits can radically affect the behaviors of your children and hamper the connectivity of the family. By applying these three tips, you may be able to better reign in the negatives and establish an approach to media that can help satisfy the needs of your family. If your children have an obsessive attachment to electronics it can be emblematic of larger attachment issues they suffer from and intensify their difficulty with forming real bonds outside of the digital space. An electronics detox is just one of the many features of The Attachment Place’s therapeutic method. If you would like to learn more about electronics and their relationship to attachment, contact The Attachment Place to discuss how your family manages media usage and whether or not it’s time for an electronics detox.